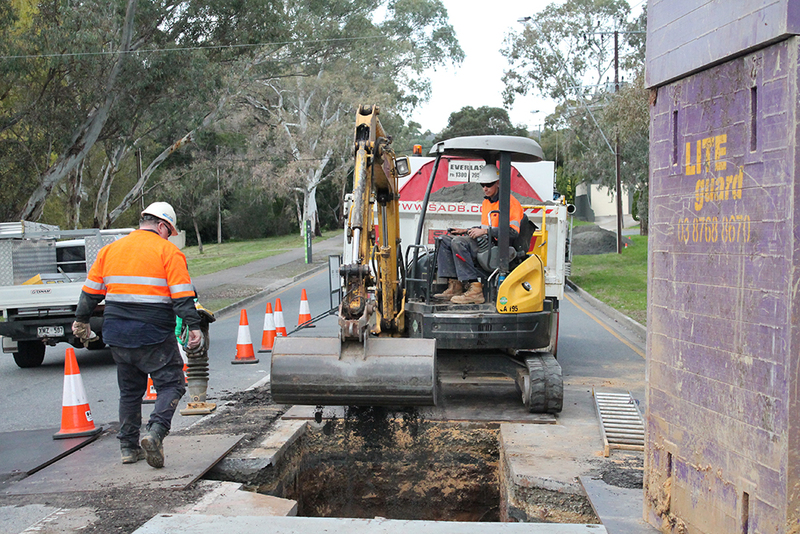 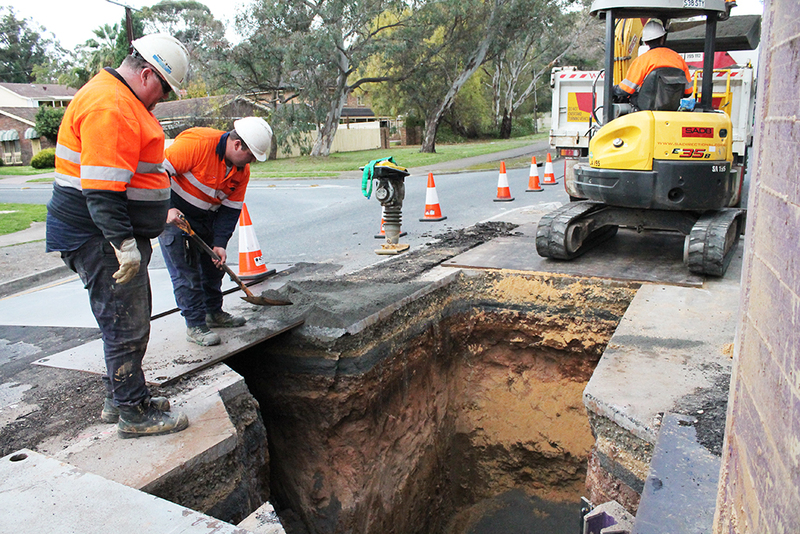 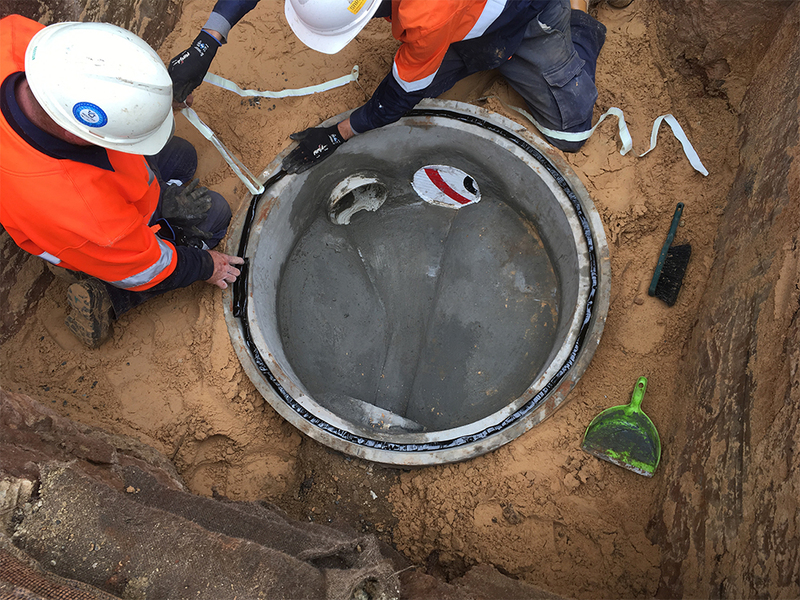 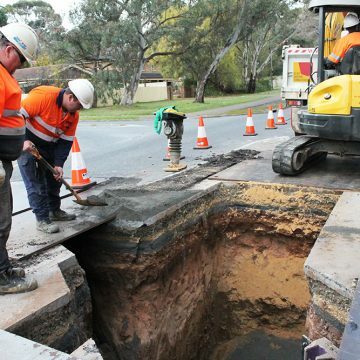 The City of Tea Tree Gully reviews and assesses critical sections of Community Wastewater Management System (CWMS) pipeline. 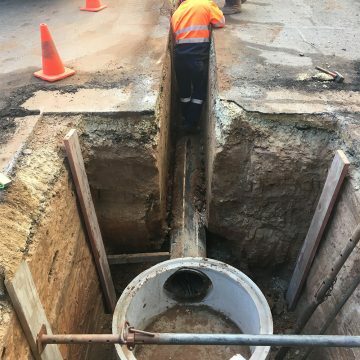 Pipes that are subject to near future failure due to poor condition or require upgrading to a larger pipe size due to increase peak flows from infill development are being replaced. 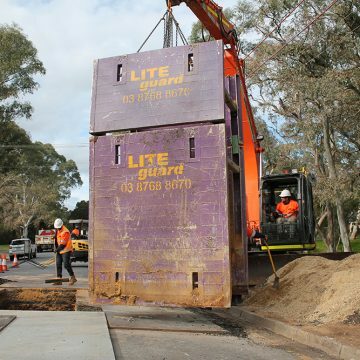 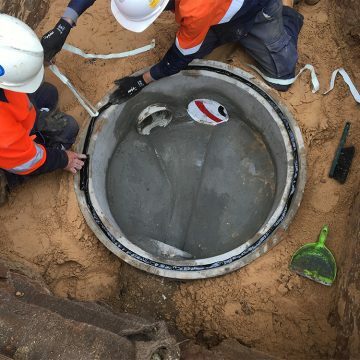 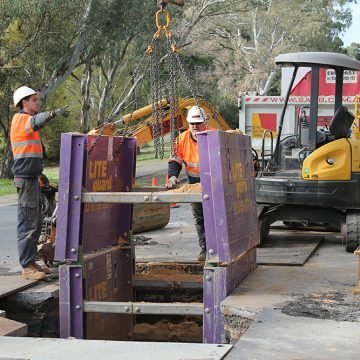 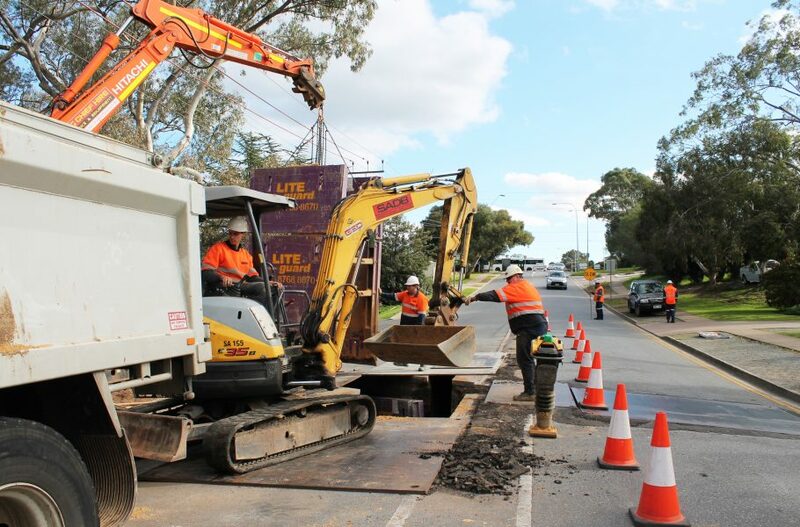 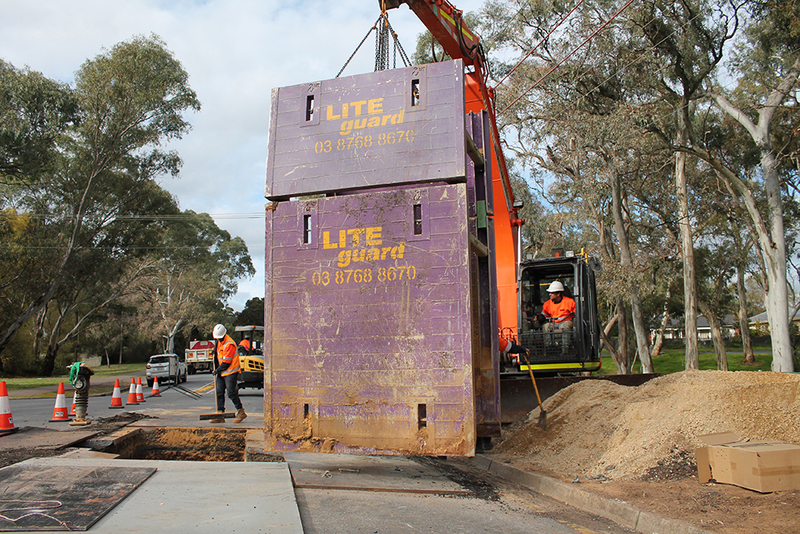 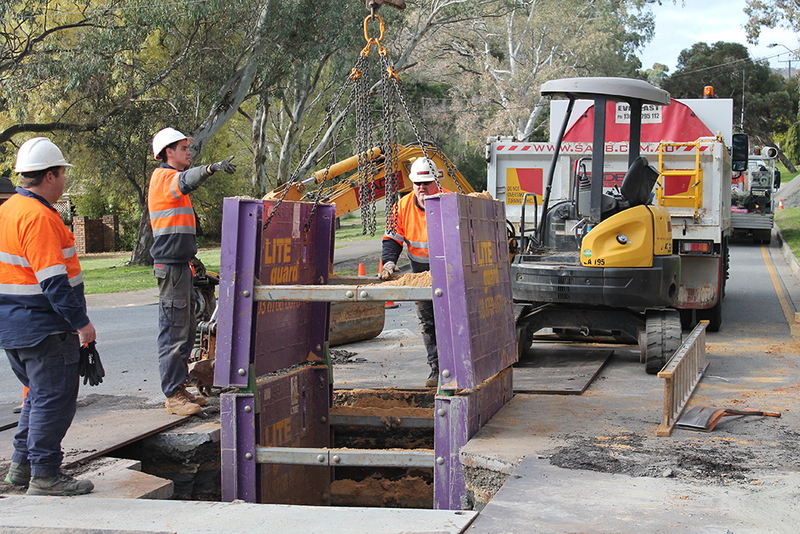 Works involved an extensive amount of directional drilling, trenching activities install 450mm PE pipe, manhole/maintenance shaft construction and property connections. 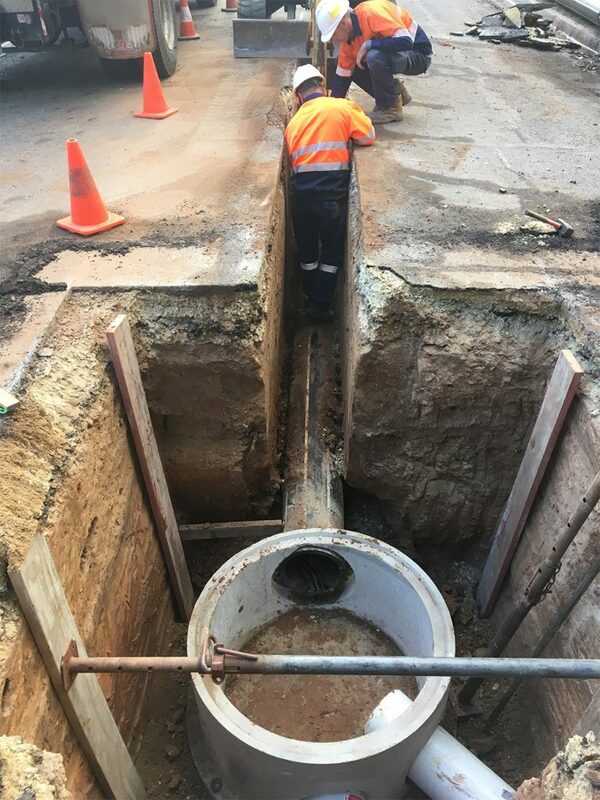 Total amount of direction drilling and trenching was of 630 metres, 6 manholes, 2 maintenance shafts and 14 property connections installed. 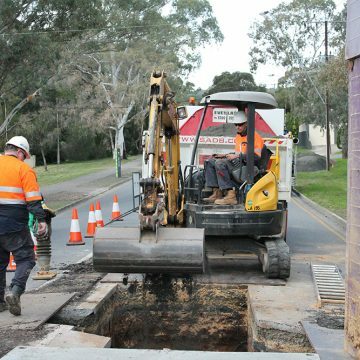 Social benefits to the project via Drilling included reduced disruption to the direct residents and the local neighborhood.